We Find some funny stuff that homeowners put on their homes. This car fanatic has done a great job recycling his materials! 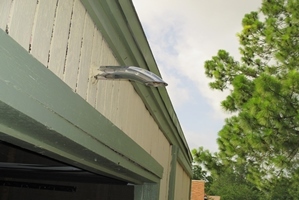 Paul Viveros, Real Estate Inspector, Trec Lic # 3875, with Realty Inspection Services found this interesting add on at a home in Grand Prairie.